TourBus, Analog Mixer from JamHub. JamHub say they've created a new genre of music gear: the portable silent rehearsal studio. 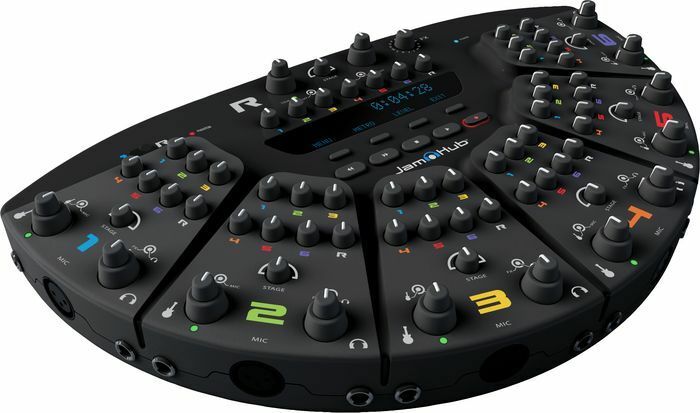 Each of the three JamHub models offers a dedicated section for each musician to connect his or her instrument, microphone and headphones with control of gain/volume for each, as well as knobs for mixing in each of the other musicians, the company says. 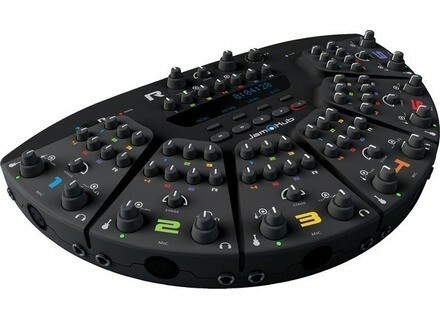 The largest of the three available models, the JamHub TourBus ($850), offers channels for seven musicians, two Remote units, built-in recording ability and 24-bit stereo effects. Also available is the Stasher backpack, a customized carrying case for the JamHub. Tascam CD-A550 & CD-A750 Tascam has updated the combination CD players/cassette recorders to the CD-A550 and CD-A750. KRK Shipping The R6 KRK Systems announces they are now shipping the R6 passive studio monitor. MicW Condenser Mics The N-series metal-body microphones feature lightweight nickel diaphragms with thin polymer coatings (hence the ‘N’ in the name.